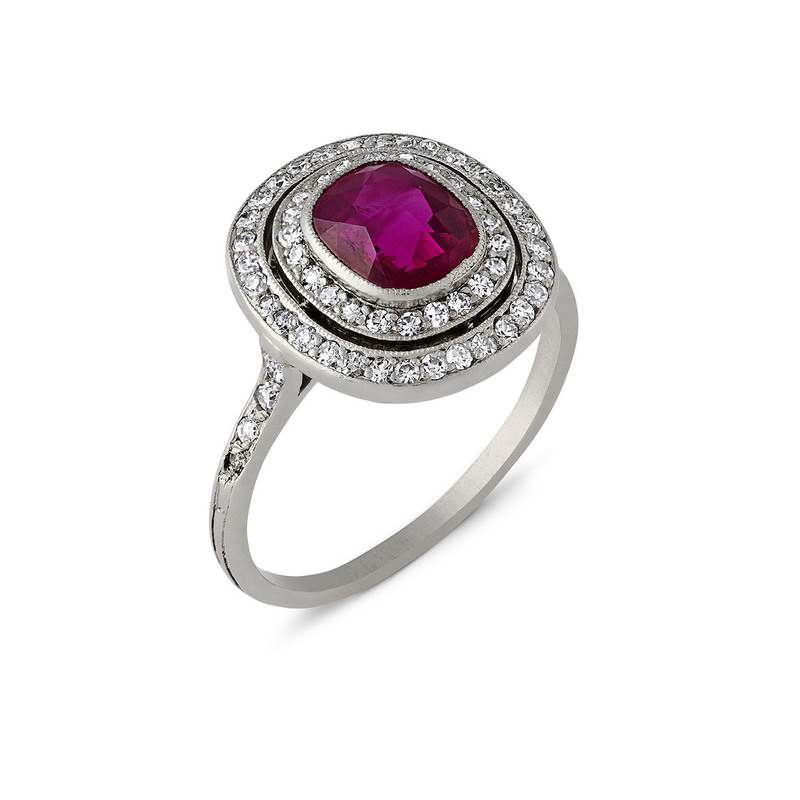 the oval bezel formed from tiers of brilliant cut diamonds enclosing a richly coloured cushion cut Burmese ruby, to a fine galleried platinum mount and band, with millegrain edging, the shoulders further mounted with diamonds. The ruby weighting approximately 1.5 carats. Accompanied by a Gemological Certifications Services report stating the ruby is of Burmese origin and has no indication of heat treatment.